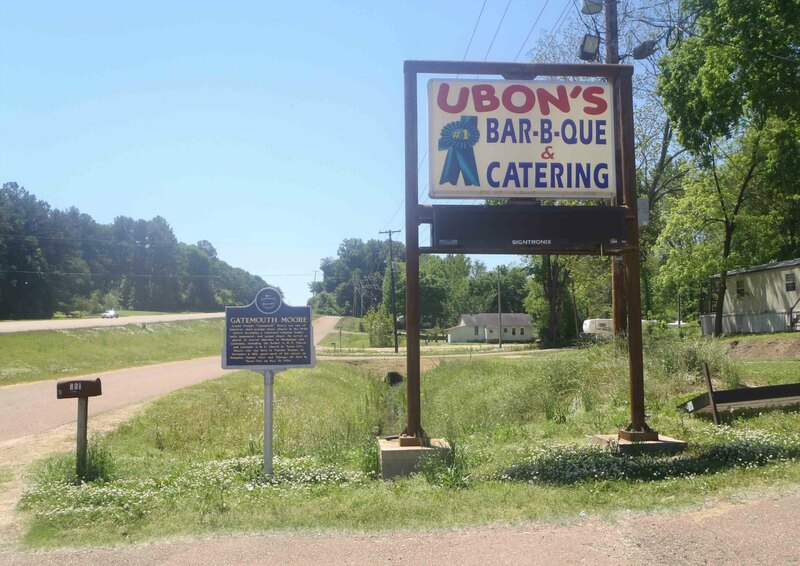 The Mississippi Blues Trail marker for Gatemouth Moore is on the west side of Highway 49 in Yazoo City, Mississippi. This one also features B.B. King and Rufus Thomas Jr. 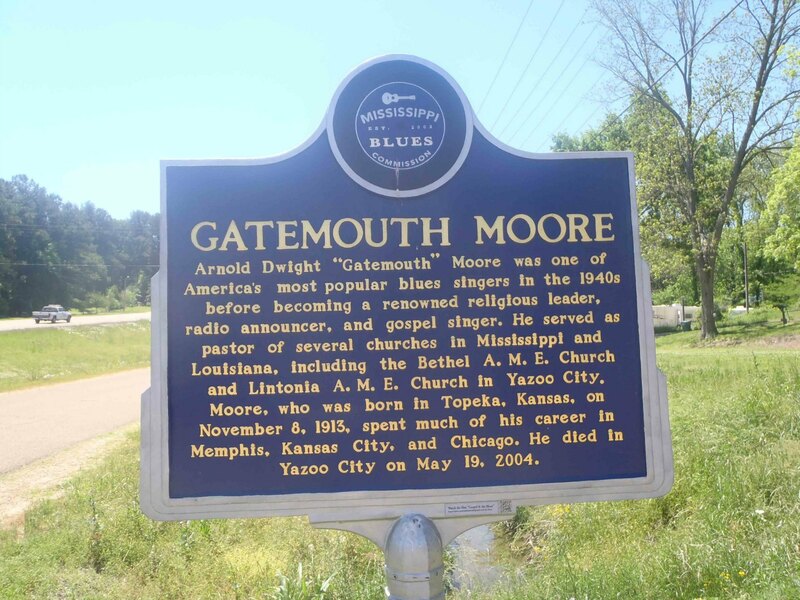 This video is of Gatemouth Moore performing on Beale Street in Memphis, circa 1996.